The Petite Sirah is sourced from a mature vineyard in Contra Costa County with an extremely sandy-loam soil (similar to beach sand). Due to this soil type and moderate growing conditions, the vineyard produces low yields with intense fruit flavors. 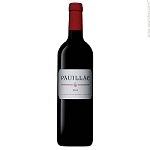 This wine showcases deep blackberry fruit with a big tannin framework. For those of us who love Petite Sirah, this one will not disappoint. Our friends at Wine Access love this wine and when they are not drinking it, they use it to fill up their Mont Blanc fountain pens.